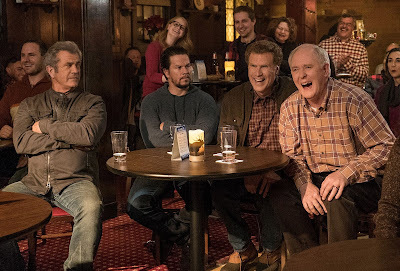 Between Mel Gibson, Will Ferrell, and Mark Wahlberg there are so many big personalities in Daddy's Home 2 that you can forgive them for leaving the biggest gun out of the first trailer. Well, that is being corrected with the latest cut which features the return of John Cena for what looks like a greatly expanded role from the cameo he had before. The sequel finds Wahlberg and Ferrell's characters, once rivals, now best friends and "co-dads" to one another's kids. Gibson and John Lithgow play their fathers who show up and ruin plans for one big happy holiday celebration. But it's the arrival of Cena, as the birth father to Ferrell's stepdaughter, who really muscles in on their territory. Can we get a Cena vs. Wahlberg vs. Gibson battle royale, please? Directed by Sean Anders and co-starring Linda Cardellini, Daddy's Home 2 opens November 10th.